As a parent, you protect your children in many different ways. Protecting them is so natural that it becomes second nature. Most parents agree that ensuring the safety and security of their children is a top priority. One important way to help protect a your child, if you’re not doing so already, is with the Gerber Life Grow-Up® Plan¹. It’s a whole life insurance policy for children that they later could keep as adults for up to a lifetime, as long as premiums are paid, and at the same child-sized premium rate. 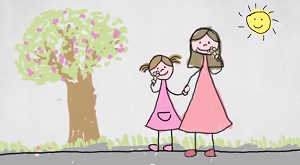 Should I Have Life Insurance if I Don’t Have Children? As a parent, you protect your children in many different ways. Protecting them is so natural that it becomes second nature. Gerber Life wanted to capture and photograph the ways that parents like you protect their children each day, and so we made a video. Can a Life Insurance Policy be Customized? 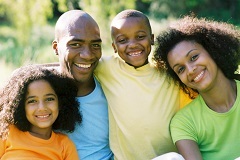 Yes, you can get custom life insurance policies to meet a variety of preferences and needs. Choose how much to pay for your life insurance monthly premium. Whether you’re on a tight budget or want to pay for the highest possible coverage amount, you’ll be able to select the monthly premium rate that works best for you and your family. That rate will stay the same for as long as you own the policy and pay the premiums. At some point in your life, you may have asked yourself: Do I need life insurance? To put the subject into perspective and make the question easier to answer, we’ve created an informative infographic. 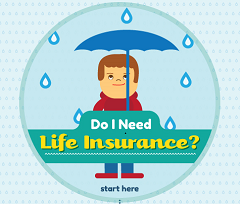 Use it to help you determine whether or not you need life insurance.